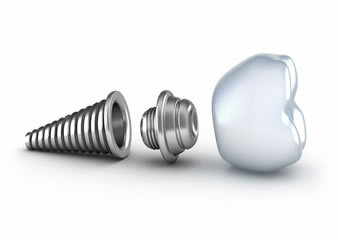 implant and a crown can replace it. without affecting bordering teeth. * Support a bridge and eliminate the need for a removable partial denture. 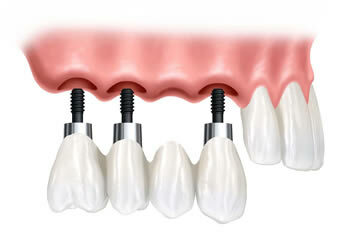 -- If you are missing several teeth, implant-supported bridges can replace them. 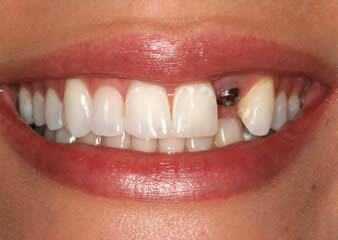 -- The number of implants for a single span is about half the number of missing teeth. 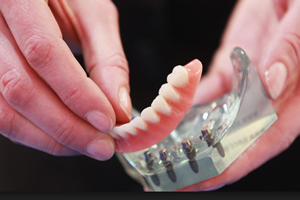 * Provide support for a denture, making it secure and more comfortable. Implants can be placed during a visit of several days. Once completed, the bone must heal for six months. 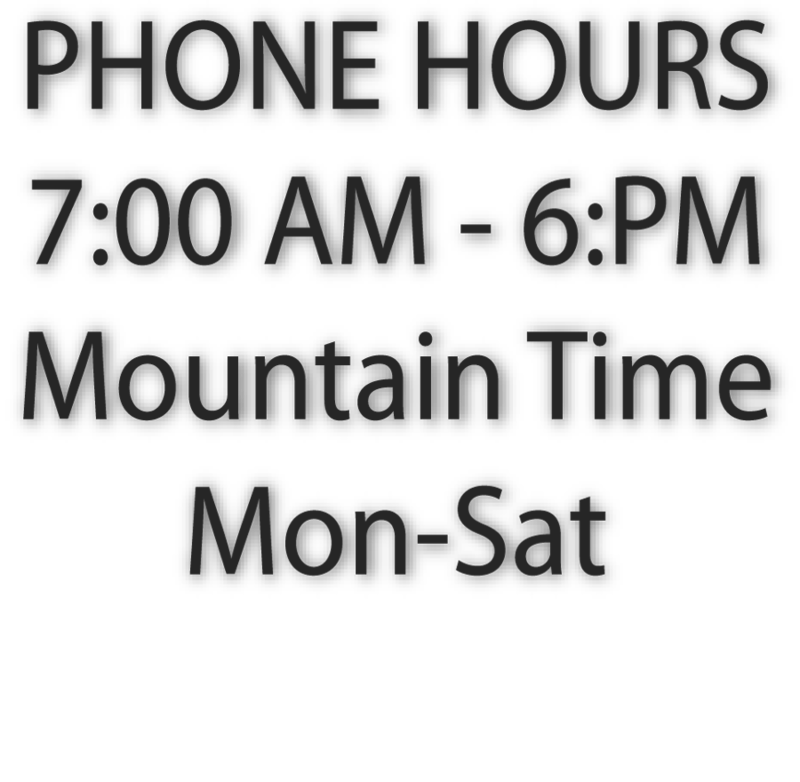 After six months healing time, the implant will have the abutment attached, and the crown, ( or bridge ) can be attached. An overdenture rests directly on your gums and is supported by 4 dental implants that have been placed into your upper or lower jaw. An overdenture is removable, and is often called a “snap in” denture. 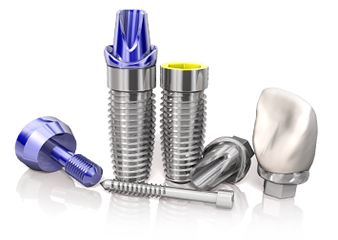 An outstanding treatment option for patients missing all of their teeth is fixed implant bridges. 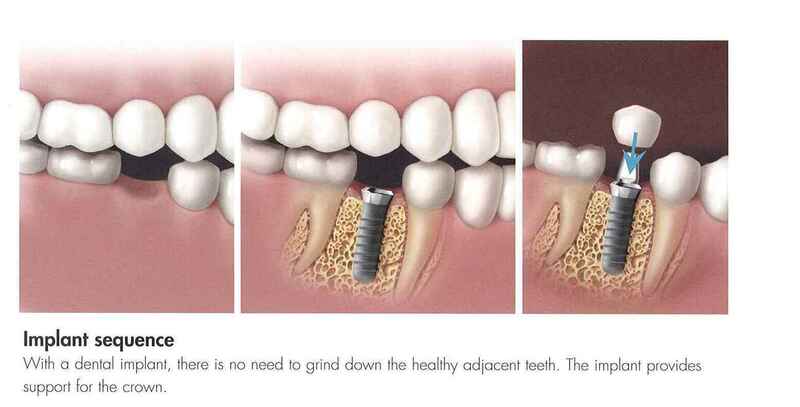 The dentist places 6-8 implants per jaw and the implants will anchor a dental bridge. 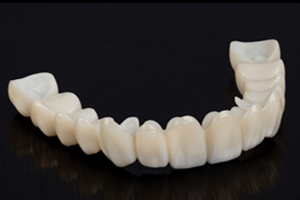 Unlike a denture, which is made of tooth and gum colored acrylic and plastic, bridges are made from porcelain, and modeled to look like natural teeth. The look and feel of the porcelain bridges is very realistic and most patients (and nearly everyone else) can’t tell the difference between their new smile and their original.